Your wedding band will forever represent and commemorate this day. It will be that piece you will be looking at as a reminder of your lifelong commitment. Eyes will be on you, and eyes will surely be on your ring as well. Breathtaking and enduring, the designer Benchmark is known for their attention-grabbing wedding bands, also built to withstand your day-to-day with fantastic design and extreme attention to detail. Mark your forever with a Benchmark wedding band. Benchmark uses today’s top jewelry crafting techniques to ensure the rings they build are the perfect representation of a strong relationship, built strong but with comfortability also at the top of mind. 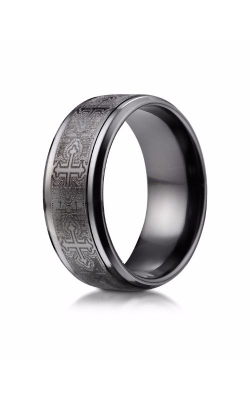 Benchmark wedding bands have been known for their risk-taking build, not afraid to use non-traditional choices including rings showered in “black diamond”. At Miro Jewelers of Colorado, we offer many tops of the line choices from this designer, and as an authorized retailer, you can shop easy knowing each product is legitimate. Reclaim your individuality through these jewelry pieces. Found within their masterful Forge Collection, the Titanium Collection uses top of the line titanium in their construction and build. This gives these bands a truly discerning and tough look. Also, within the mesmerizing Forge Collection, the Cobalt Collection offers more intricate designs with the hammered design and more geometric patterns and shapes. These rings truly highlight the metal workmanship of these bands and shows off Benchmark’s innovative and inspired expert knowledge of jewelry crafting. Some of the bands found in the Cobalt Collection feature diamond, adding to the refinement of these bands. Benchmark wedding bands will stunningly encapsulate and mark the day you both say “I Do”. These designs, especially for men, are completely designed for the individual in mind. Stand out on your wedding day with a men’s wedding band from Benchmark. 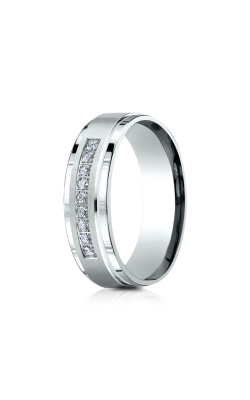 Other Benchmark wedding bands are available in their Diamond Collection. For women, you will find more diamond adorned pieces, adding sparkle and a glimmering shine. These are bands that you will not want to be without. Always looking to stand-out, Benchmark imbues some of their bands with black diamond. Benchmark wedding bands flourish knowing these bands stay true to their ideals of uniqueness, durability, and luxury. Also available are the rings of the Classic Collection, featuring bands with a more simple and clean look and design, while their Design Collection modifies traditional beliefs of standards wedding bands. The Design Collection explores enchanting territories with beaded designs and weaves, while other rings in this collection feature the hammered look. Using a number of geometric shapes and constructions, you will truly find impeccable designs and builds at Miro Jewelers from this and many other top designers. Miro Jewelers of Centennial, Colorado presents only the top jewelry designers and brands. We are an authorized dealer of some of today’s hottest designers from Benchmark, to Lashbrook, to Verragio, and even our own lustrous collection of fine jewelry. We want to make sure you find the band you have always dreamed of. We offer a lifetime warranty on products purchased with us, and even provide our customers free shipping! With financing options like 180 days interest free and a lifetime diamond upgrade so you can grow your ring as your relationship grows, you can be pleased to know that we are here to help throughout entire process of finding your dream ring. Shop at our Centennial location today!